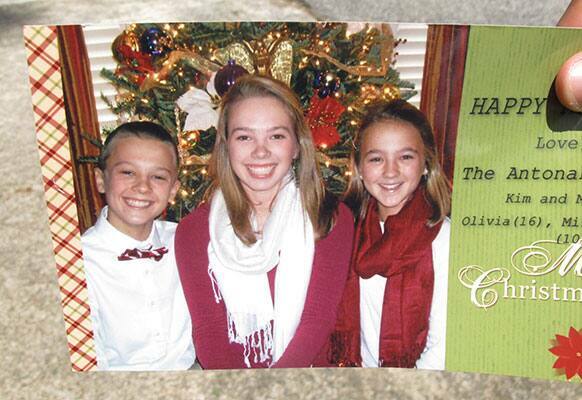 A neighbor holds a 2012 Christmas card showing Mills Antonakos, left, Olivia Antonakos, center, and Anastacia Antonakos, in Greenville, S.C.
People attend a laugh therapy session in a public square in Caracas, Venezuela. 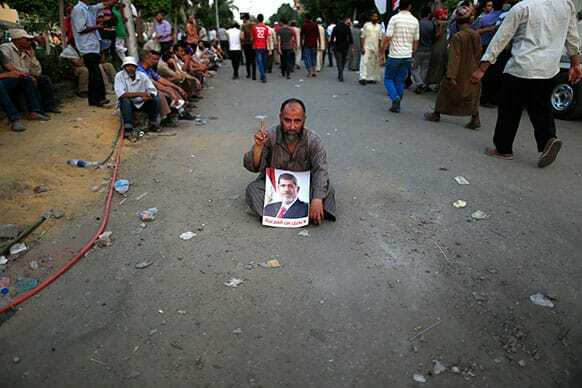 Supporters of ousted President Mohammed Morsi protest at the Republican Guard building in Nasr City, Cairo, Egypt. India acting captain Virat Kohli, left, high fives bowler Bhuvneshwar Kumar after beating Sri Lanka in their Tri-Nation Series cricket match in Port-of-Spain, Trinidad. 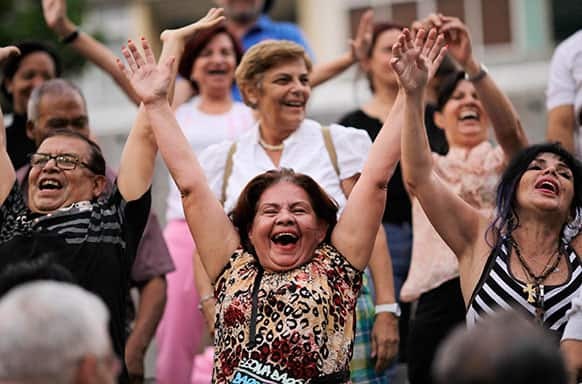 Washington Kastles` Leander Paes, left, of India, picks up and celebrates with Martina Hingis, right, of Switzerland, after they won a World Team Tennis mixed doubles match against the Boston Lobsters, in Washington. 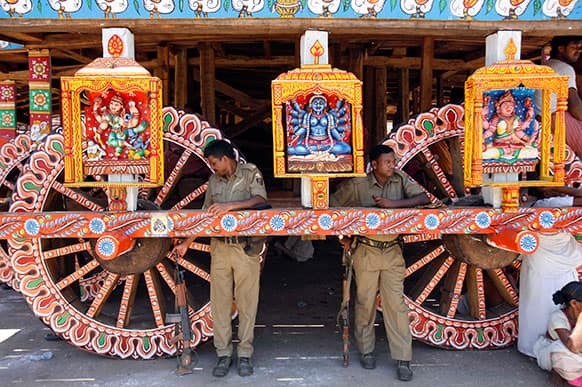 Indian policemen stand guard near a chariot meant for the annual Rath Yatra or Chariot procession of Lord Jagannath in Puri, 60 kilometers (37 miles) from the eastern Indian city of Bhubaneswar. Brazilian model Adriana Lima wears a creation from Desigual during a 080 Barcelona fashion show in Barcelona, Spain. 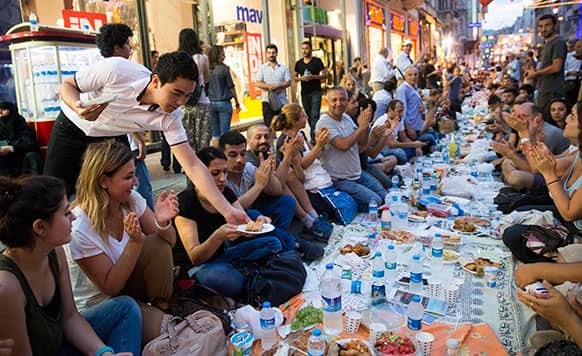 Thousands of people sit on Istiklal Avenue, the main shopping road of Istanbul, in Istanbul, Turkey. 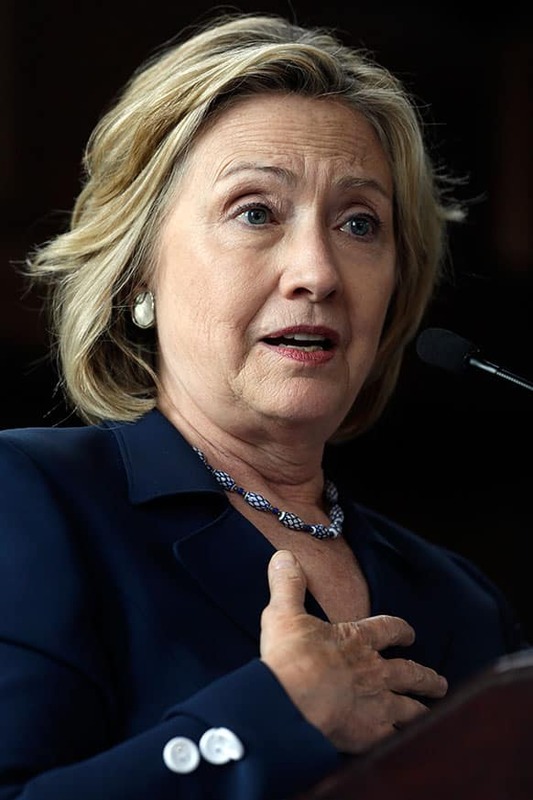 Former Secretary of State Hillary Clinton speaks during the Women in Public Service Project leadership symposium, at Bryn Mawr College in Bryn Mawr, Pa.
First lady Michelle Obama is welcomed to speak at the second annual White House "Kids` State Dinner" in the East Room of the White House in Washington. 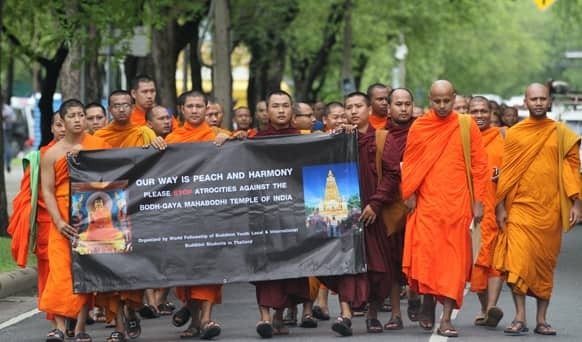 Buddhist monks gather outside the United Nations office in Bangkok, Thailand, to demand peace after a series of blasts at Bodh Gaya in eastern India. 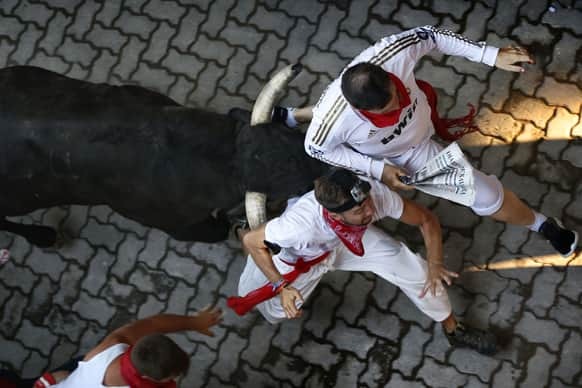 Revelers are chased by a Victoriano del Rio ranch fighting bull during the running of the bulls of the San Fermin festival, in Pamplona, Spain. 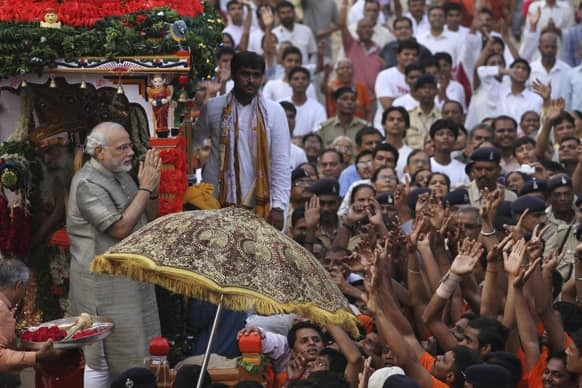 Gujarat state Chief Minister Narendra Modi greets devotees during the annual chariot procession of Hindu god Lord Jagannath in Ahmadabad. Men flex their muscles as they participate in the annual chariot procession of Hindu god Lord Jagannath in Ahmadabad. Myanmar opposition leader Aung San Suu Kyi shakes hands with Australian Foreign Minster Bob Carr during their meeting in Naypyitaw, Myanmar. 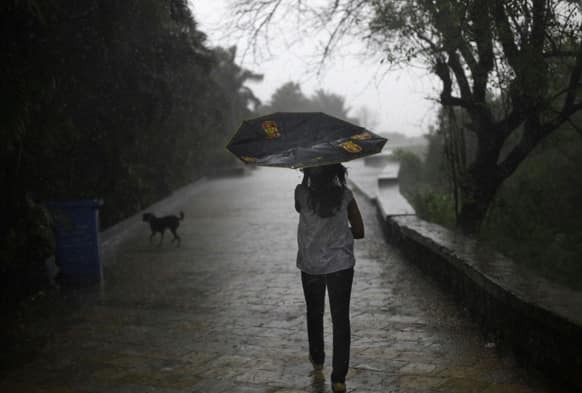 A girl`s umbrella gets folded upwards due to strong wind as she walks during monsoon rains in Mumbai. 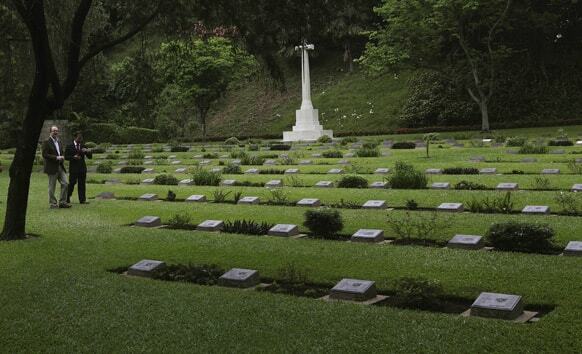 British High Commissioner to India Sir James Bevan visits the World War II war cemetery, in Guwahati. 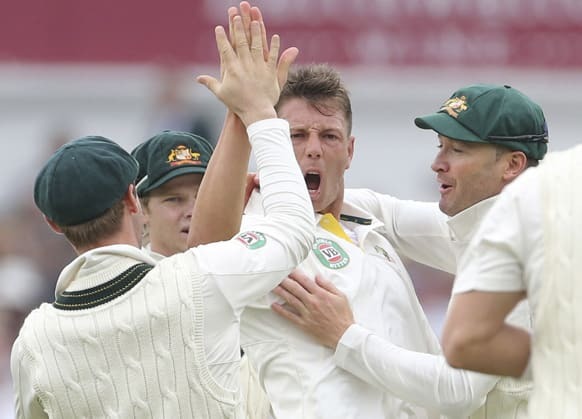 Australia`s bowler James Pattinson celebrates taking the wicket of England captain Alastair Cook during day one of the First Ashes Test match of the series at Trent Bridge, Nottingham, England. Dancers from Israeli dance group Mayumana perform during a dress rehearsal of the show "Momentum" in Berlin, Germany. Students read the Quran on the first day of the holy fasting month of Ramadan, at Ar-Raudlatul Hasanah Islamic boarding school in Medan, North Sumatra, Indonesia. 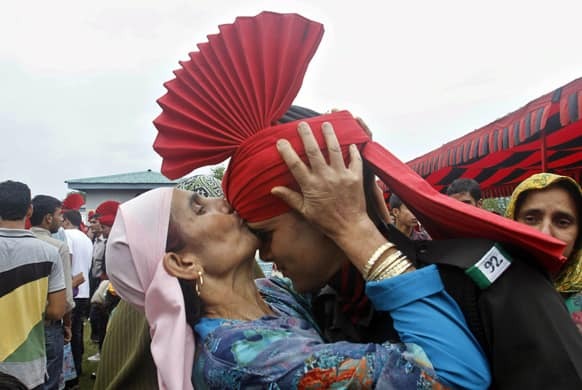 A woman kisses the forehead of her son after he was inducted as a soldier of the Jammu and Kashmir Light Infantry during a graduation parade at a military base on the outskirts of Srinagar. 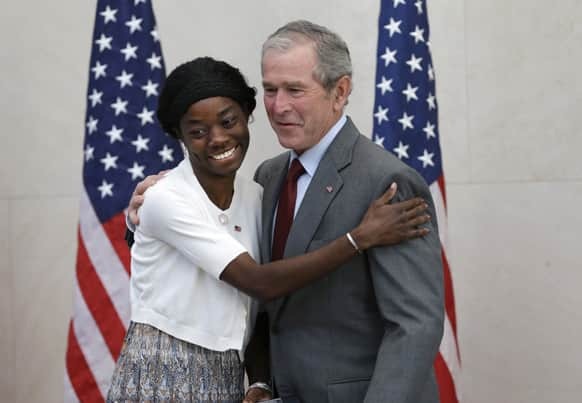 Former President George W. Bush posses for a photo with Mondell Bernadette Avril after she was sworn in as a U.S. citizen during a ceremony at the The George W. Bush Presidential Center in Dallas. 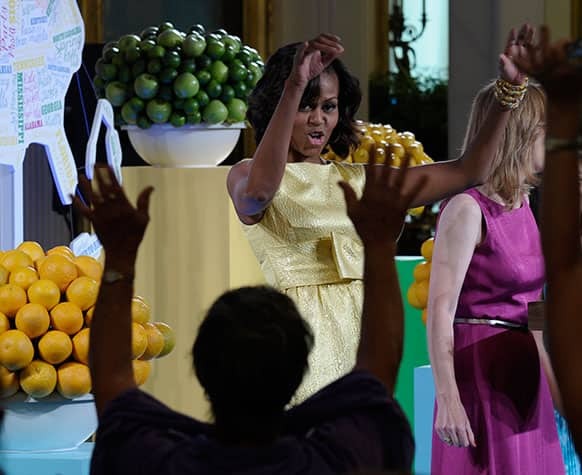 Twenty new citizens took the oath of US citizenship at the former president`s library. 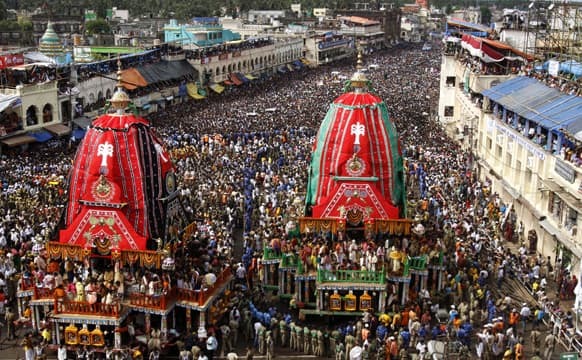 Devotees throng around the chariot of Lord Jagannath and his sister Subhadra during the annual Rath Yatra or chariot procession in Puri, 60 kilometers (37 miles) from the eastern Indian city of Bhubaneswar. 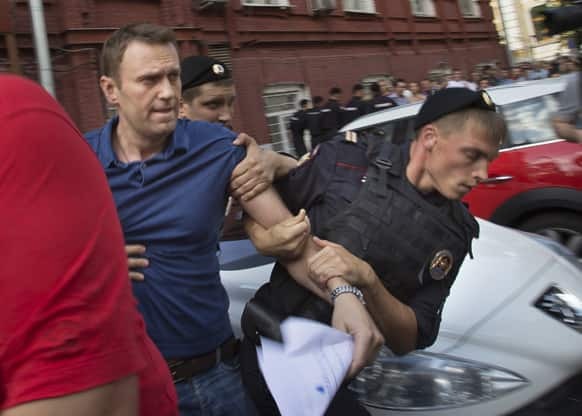 Police officers detain Russian opposition leader Alexei Navalny, left, in Moscow, Russia. Navalny was briefly detained by police after he spoke to a crowd of supporters outside the headquarters of Moscow`s election commission. 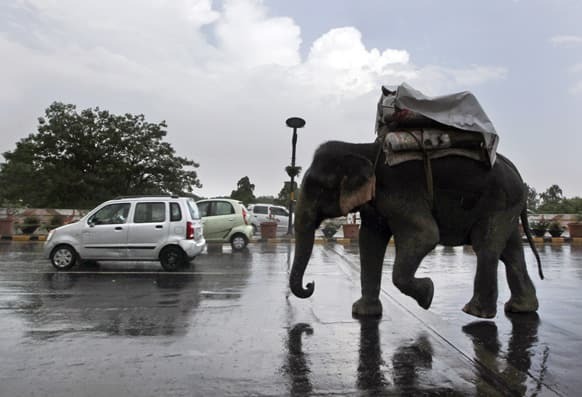 People cover themselves with a plastic sheet as they ride an elephant in the rain on a street in New Delhi.